Goodreads: When a Hollywood superstar and a NYC society girl fall in love, sparks fly and secrets are revealed. Kritters Thoughts: Brigit grew up as a New York socialite and in a semi spotlight, but dating a famous Hollywood actor is a different kind of spotlight! She wants to get married out of the watchful eye in Greece, but her fiance sells the story to a magazine and in walks Brigit's ex husband. I loved how yes, the story was mainly about Brigit, but there were two other stories going on. There were secrets between Brigit's mother and father and they are coming to the light through this book. Brigit's sister is discovering things about herself and is having to make decisions about her future and what path she will take. 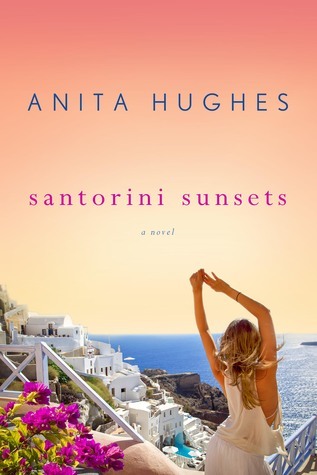 This was only my second Anita Hughes read and I didn't completely love my first one of hers, so I was a little hesitant about this one, but in the end I definitely liked it. Disclosure of Material Connection: I received one copy of this book free of charge from St. Martin's Press. I was not required to write a positive review in exchange for receipt of the book; rather, the opinions expressed in this review are my own.